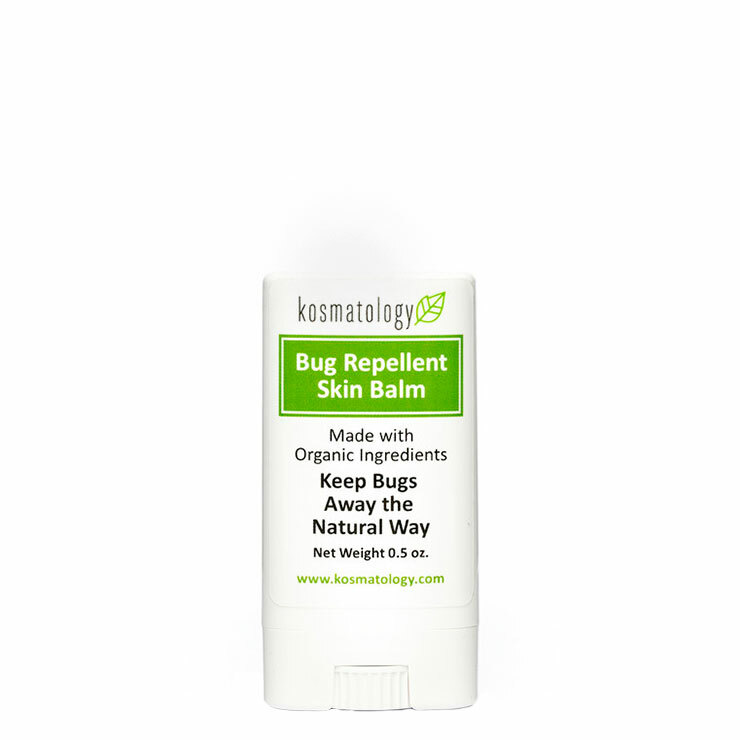 Kosmatology Bug Repellent Balm is an essential when spending time outdoors. 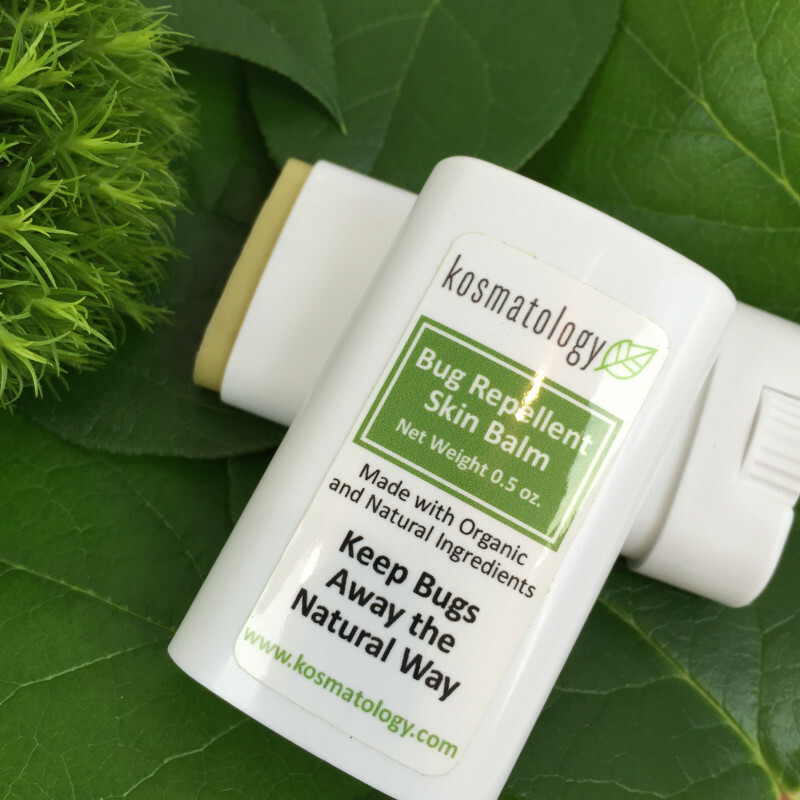 Herbs and essential oils are used as alternatives to synthetic ingredients for a feeling of protection that is designed for the whole family. 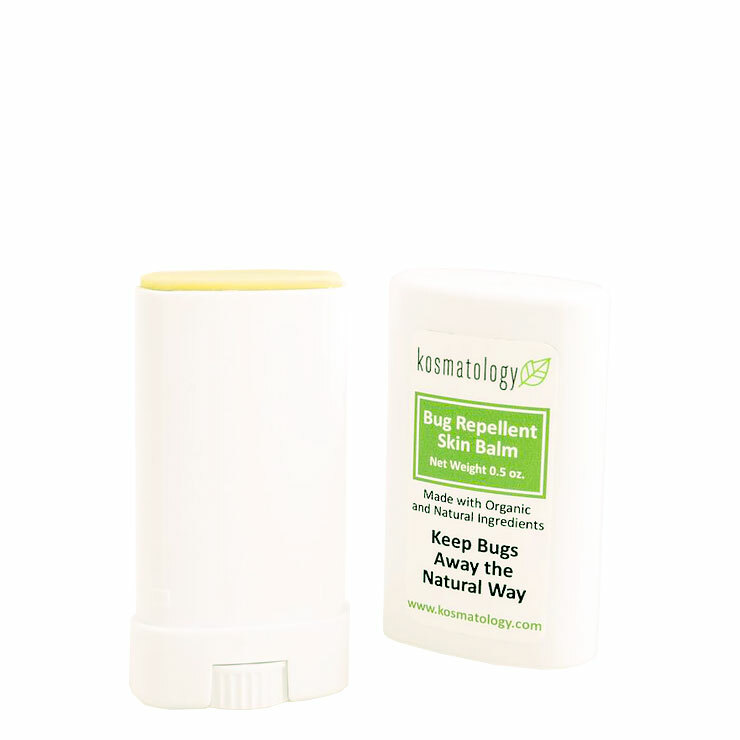 Coconut oil and shea butter create an easy to apply balm that glides onto skin with a moisturizing feel. Rosemary and thyme offer a fresh, herbal scent and help to keep pests at bay. Catnip is used to ward off mosquitoes, while spicy clove and cinnamon mix with citrusy lemon for a refreshing aroma. Apply directly to skin, especially pulse points. Reapply as desired. If pregnant, check with your doctor before use. Organic Cocos Nucifera (Coconut) Oil, Euphorbia Cerifera (Candelilla) Wax, Organic Butyrospermum Parkii (Shea) Butter, Organic Rosmarinus Officinalis (Rosemary), Sambucus Nigra Fruit Extract, Organic Nepeta Cataria (Catnip), Organic Thymus Vulgaris (Thyme), Organic Syzygium Aromaticum (Clove), Tocopherol (Vitamin E) Oil, Organic Cinnamomum Verum (Cinnamon), Organic Citrus Limon (Lemon) Essential Oil, Organic Pelargonium Graveolens (Rose Geranium) Essential Oil, and Organic Lavandula Angustifolia (Lavender) Essential Oil.